If you're into astrology, this is the wall sticker for you! 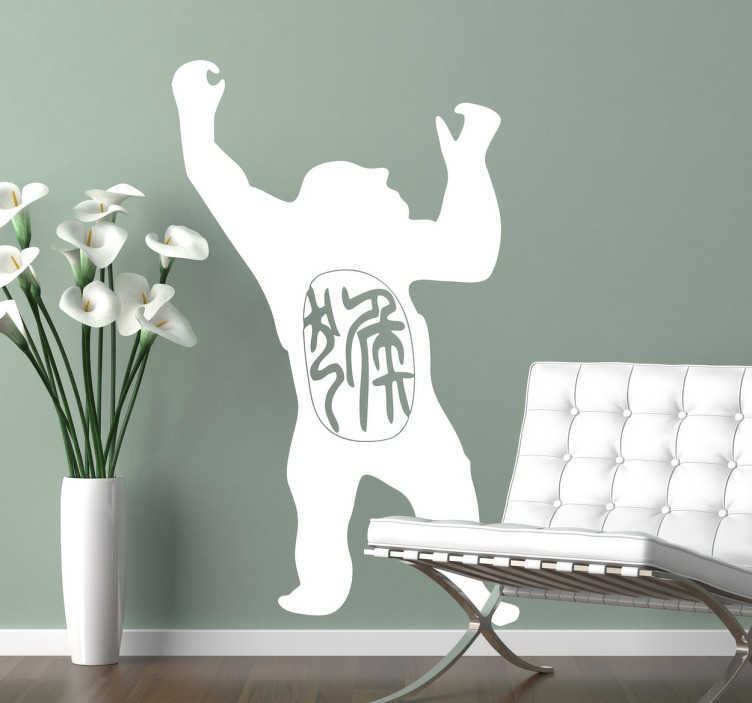 Featuring the silhouette of a gorilla and Chinese text, it represents the astrological birth year of the gorilla. Those born under the sign of the gorilla are said to be outgoing, energetic and clever. Ideal for living rooms, children's rooms or playrooms, give you room a touch of the oriental with this easy to apply wall vinyl. Available in a variety of different sizes!